The Marvel of Flap Fitting for your Kitchen and Furniture. Science and engineering has been the cornerstone of all the progress that we have made in our short human history. Our constant desire to invest and improve our surroundings have led us to some truly amazing inventions. Flap Fitting is another example of how our curiosity and creativity helps us redefine and reinvent decade old mechanism that were thought to be perfect. 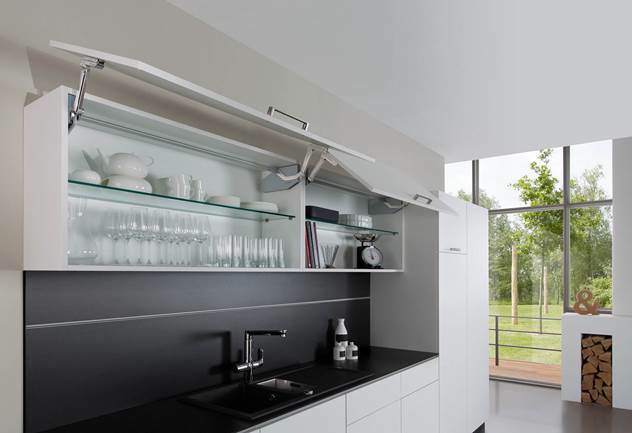 Flap Fitting is an amazing marvel of engineering achieved by Hafele to improve the decade old hinge design used in Cabinets. Below we take you through the different advantage and unique capabilities of Flap Fitting. The Biggest advantage of Flap Fitting lies in its durability. 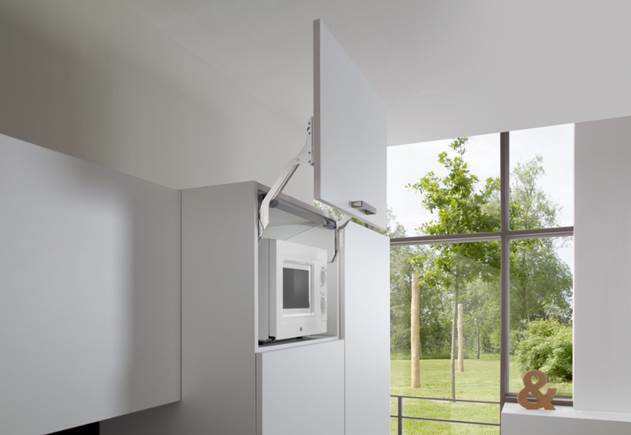 Contrary to the traditional hinge system, Hafele’s Flap Fittings has been technically tested to withstand 50% higher usage. The durable and classy Flap Fittings would not only add beauty and elegance to your kitchen cabinets but would also serve you for a longer period of time than classic hinges. The marvelous beauty and strength of Flap Fittings can never be matched by the old and aged hinge system. Flap fittings have been designed to ensure beauty and utility. 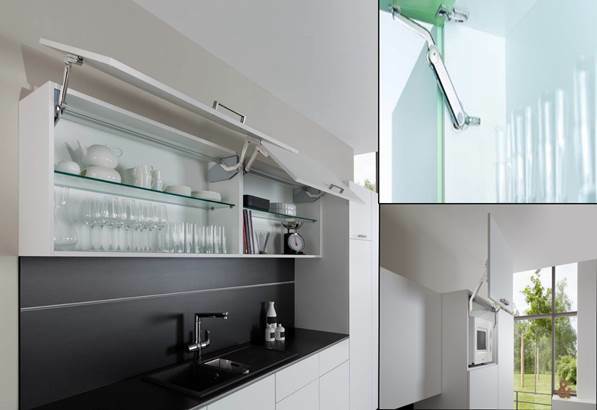 These Flap Fittings enables accessibilities to your shelves and cabinets in a very simple and effective manner. Flap Fitting requires very little force to access and it adds a sense of luxury and modernistic flavor to your home. It’s definitely a must-have in the current home living aspect. Besides its undoubted durability and ease of operation, it is undeniable that these flap fitting helps in boosting the beauty of a Home. 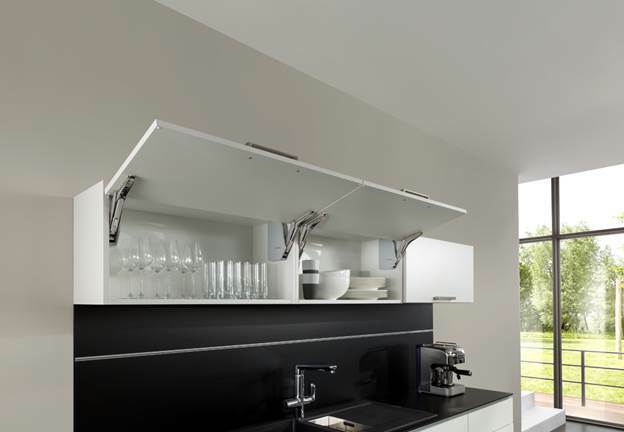 The elegant Flap Fittings accentuate the design and the beauty of Cabinets. A subtle, elegant and sturdy mechanism that would enhance the comfort and beauty of your home. The marvelous mechanism of Flap Fitting has wide usage in places like Kitchen, Living Area and Bedrooms, be it in an office or your cozy home. Their use can even be extended to automated mechanisms that use high quality electric drives which enable the flaps to be operated through gentle press of a finger. 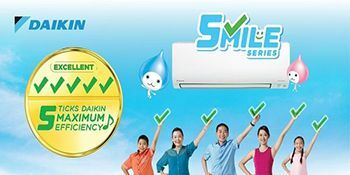 The Flap Fitting Mechanism is available in different sizes to accommodate wide range of uses to meet home owner’s expectations. An elegant and beautiful invention that would redefine Furniture Design indeed!